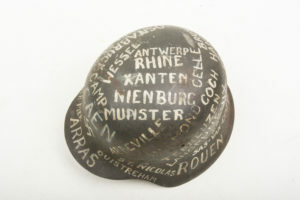 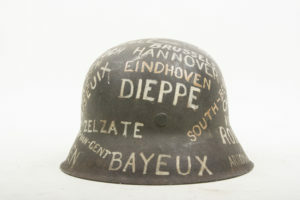 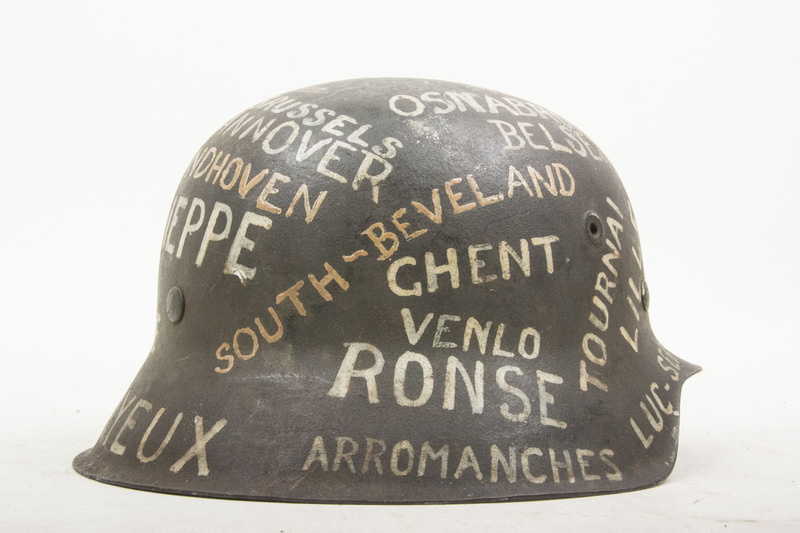 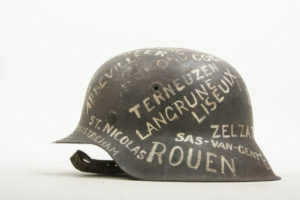 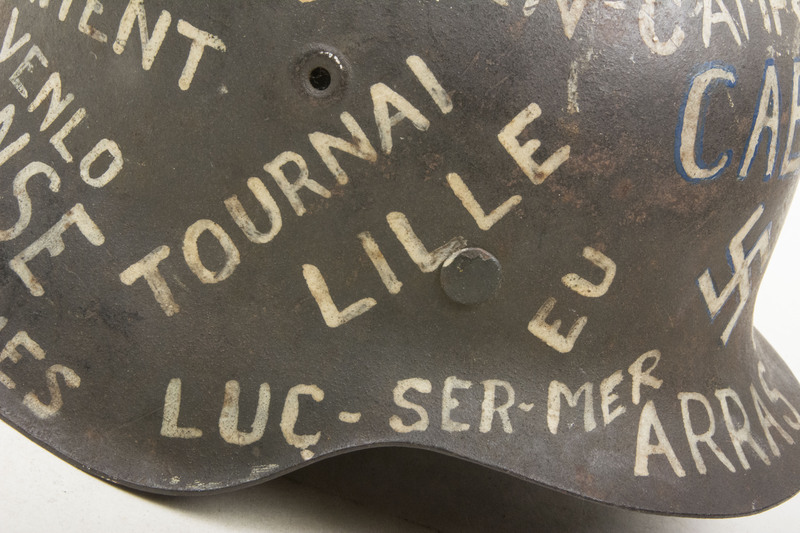 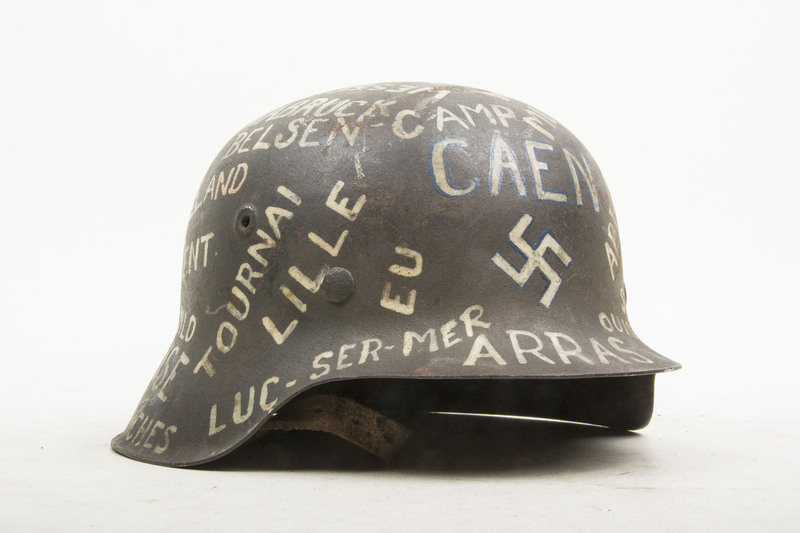 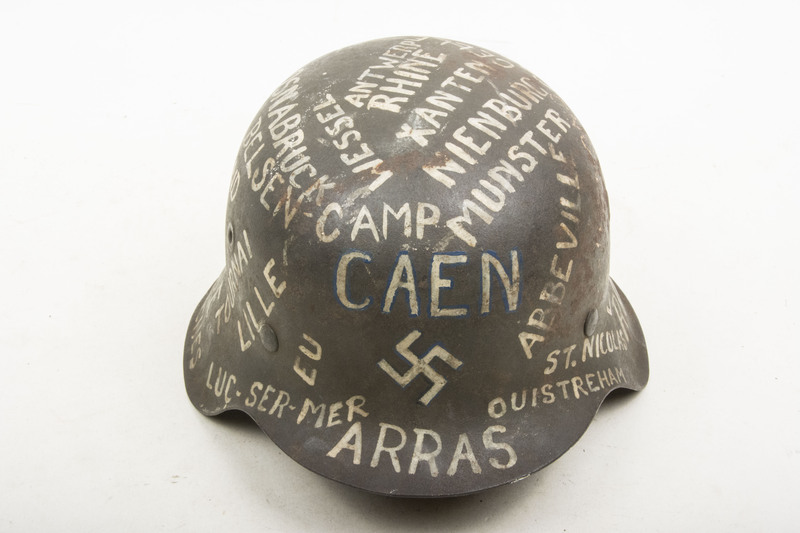 Arguably the helmet was the most recognizable part of the individual German soldiers appearance. 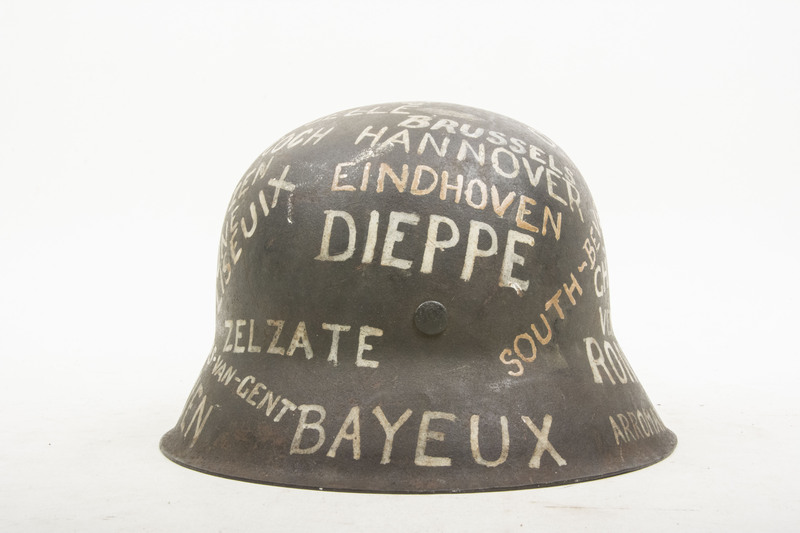 With a design that derived from the type used in world war one, the German helmet offered more protection then ones used by it’s enemies. 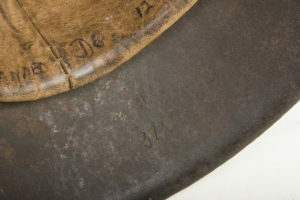 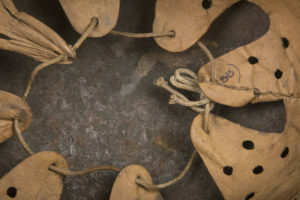 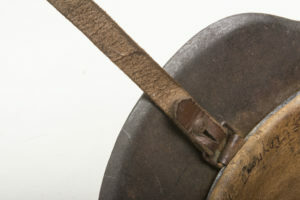 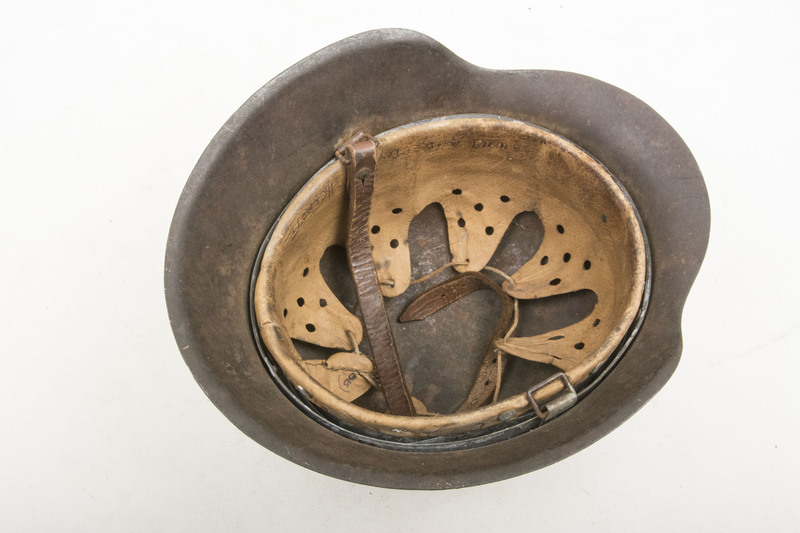 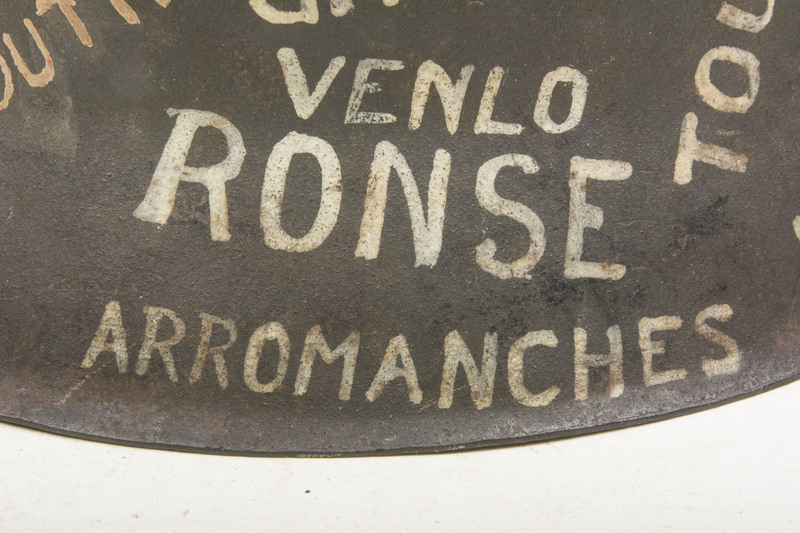 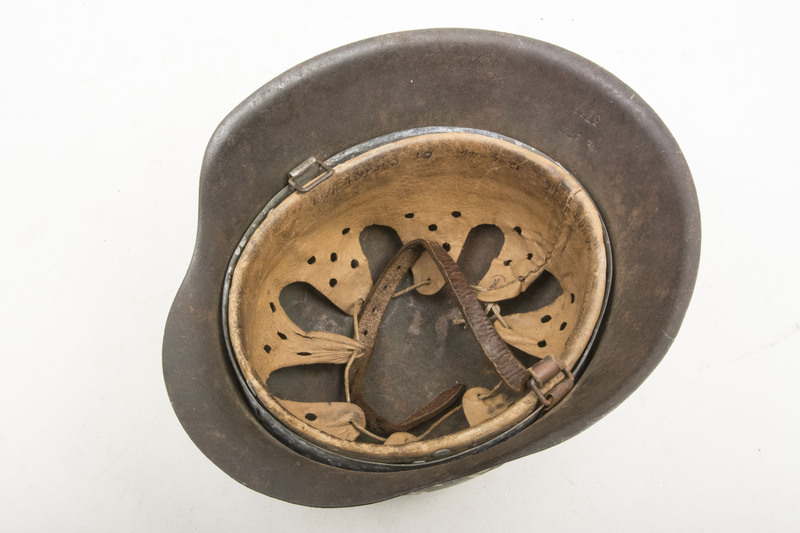 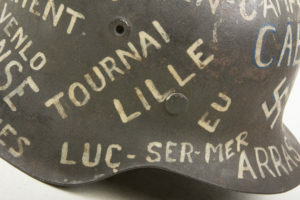 The quality field gray painted steel helmet with two decals and rolled steel rim and leather liner was a labor intensive product and simplified as the war progressed. 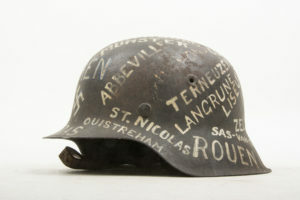 The earliest model helmet used in world war two was the model 35 or M35 Stahlhelm. 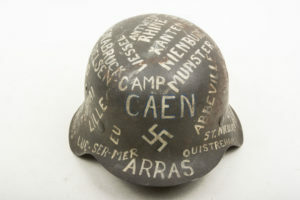 During the war the helmet was simplified in 2 stages. 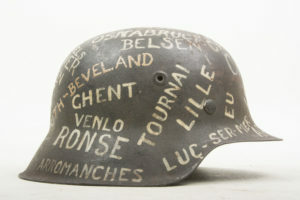 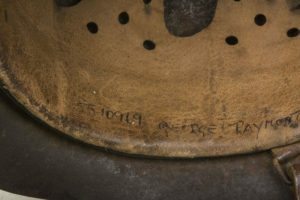 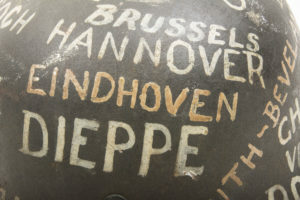 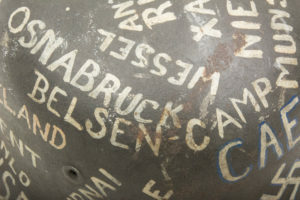 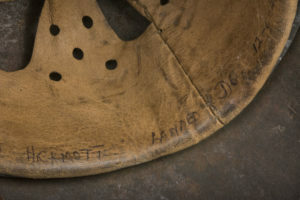 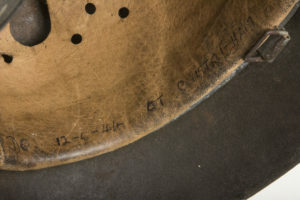 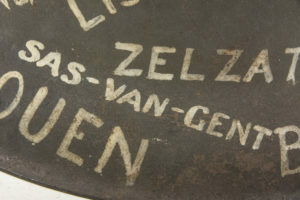 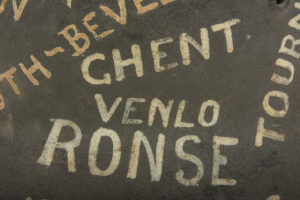 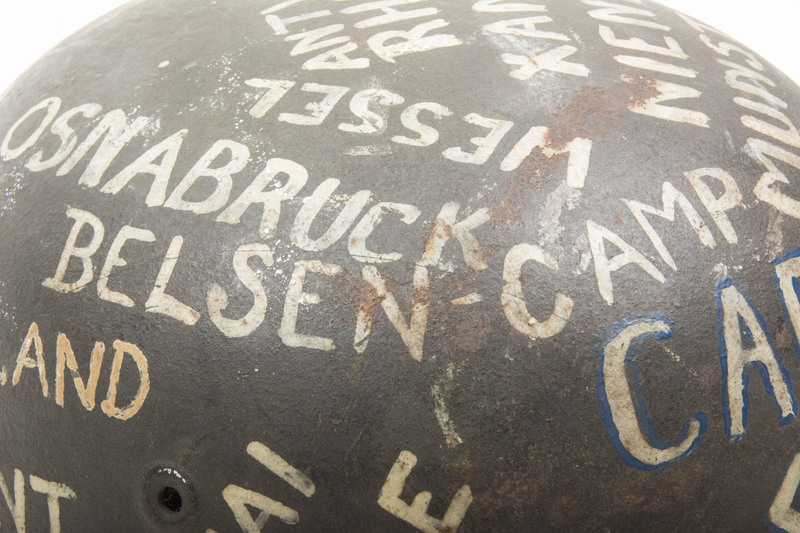 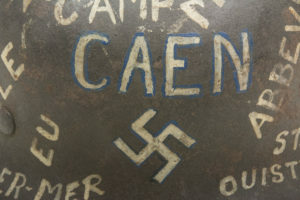 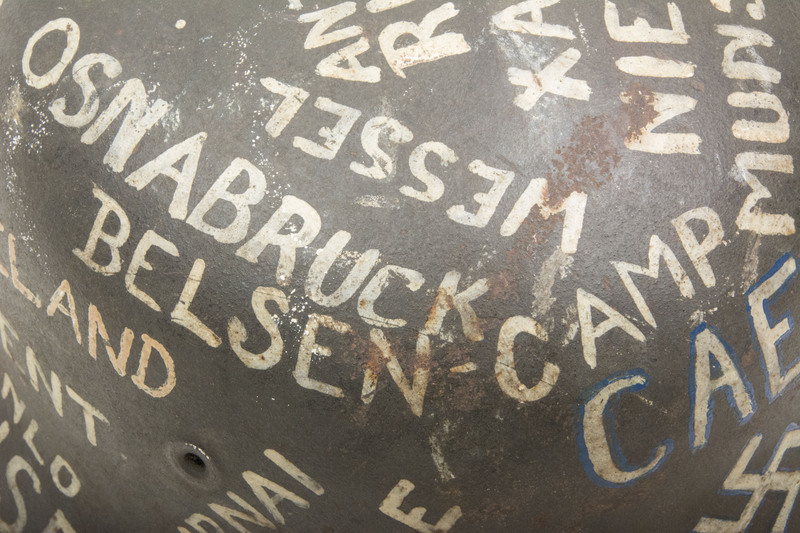 In 1940 the airvents changed from separate rivets affixed to the helmet shell to stamped in the main body of the shell. 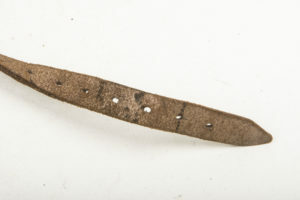 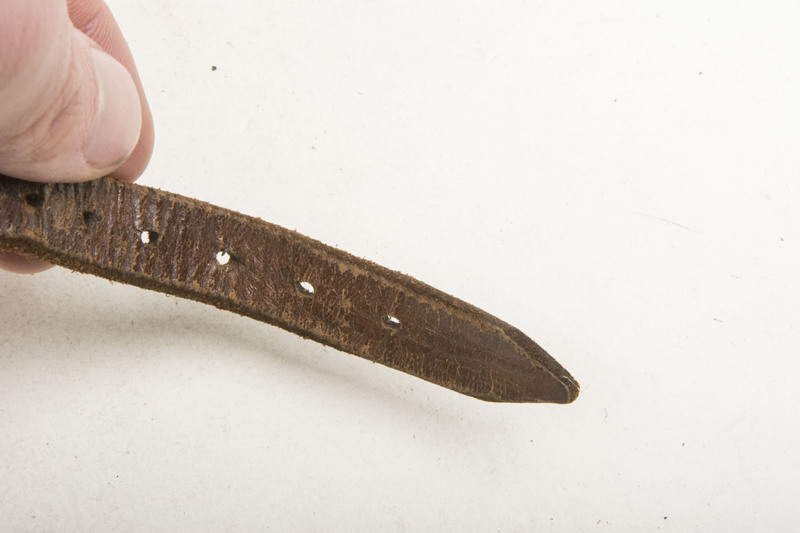 In 1942 a new model was introduced where the rim of the shell was left sharp and not rolled over as previous models. 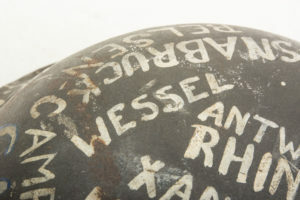 These models are known in the collector community as M40 and M42. The low sides that protect the neck and ears, the tell tale design that the Germans introduced in 1935 can still be seen in modern day army helmets. Paint: Factory applied dull field gray paint with rough aluminium oxide. 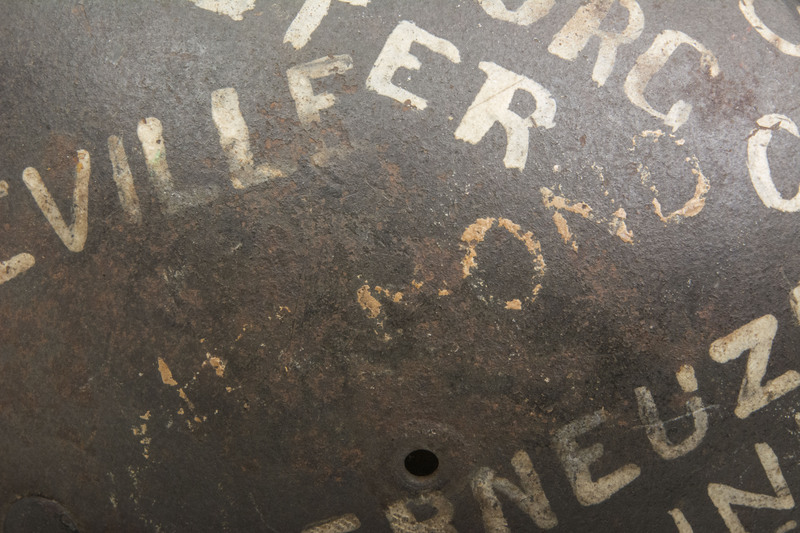 Shell Maker: Emaillierwerke A.G., Fulda. 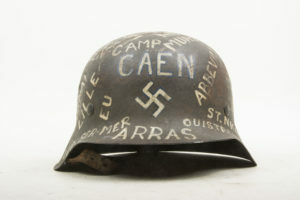 Year: The EF helmets received decals until the 8th of august 1943. 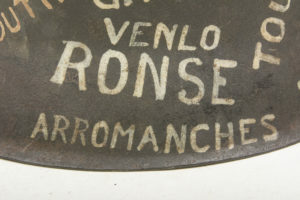 This one had a decal applied which indicates production after to that date.